The 1990s were a strange time for cartoon series in North America. It seems like everyone had one, including Rick Moranis. Right now you’ll probably assume that meant there was some animated Honey, I Shrunk The Kids series you’d missed, but you’d be wrong. The series you missed? Rick Moranis in Gravedale High. The series itself wasn’t exactly Moranis-y, although he does lend his voice to the series and the theme song (well, one off-key line of it). He plays a high school teacher at a school for monsters. He’s the only human in the series. Wacky antics ensue. 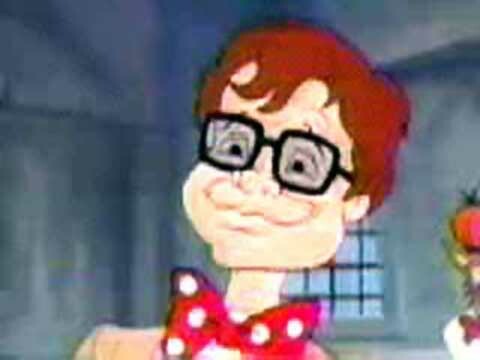 Besides Moranis, who was a huge name in the 90s but by the end of the decade largely removed himself from the biz, Gravedale High features the voices of Tim Curry and Ricki Lake. Random? You bet! In the late 90s, I was big into tape trading online. I ended up finding a post from someone who had the entire series on VHS, and I immediately purchased it. I’m not proud of how much I spent on one lousy VHS tape– $80. Ouch. Worst of all, there were only 13 episodes, so it’s not like I got a heap of tapes. Just one. 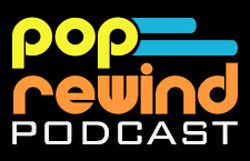 Fast forward 16 years and you can watch the series for free on YouTube or pick up a burned DVD copy on iOffer (a.k.a. Bootleg Central), saving yourself a cool $70-80. Not that we condone this, but you do what you gotta do. The show wasn’t as merchandised as others, but the main characters (minus Moranis) enjoyed a stint as McDonald’s Happy Meal Toys. 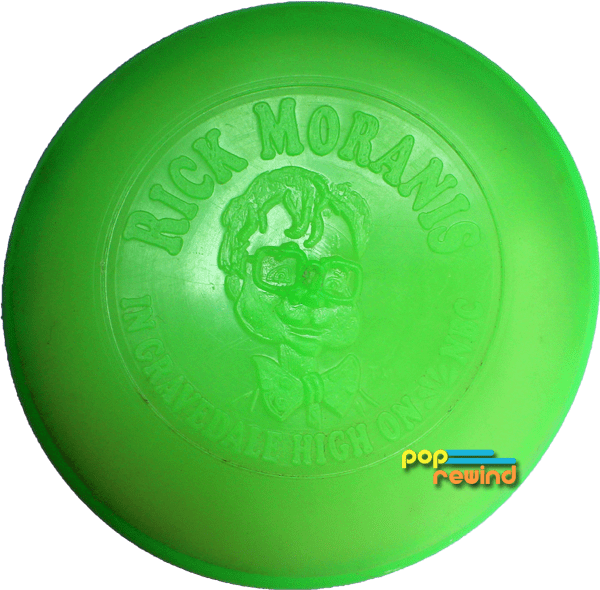 A small green Frisbee with the animated likeness of Moranis was also released. The only thing I can find about this is that it was a special promotion with Toys R Us, where Gravedale High viewers would write down codes, bring that to Toys R Us, and receive a flimsy Frisbee. I just bought it off eBay 16 years ago.